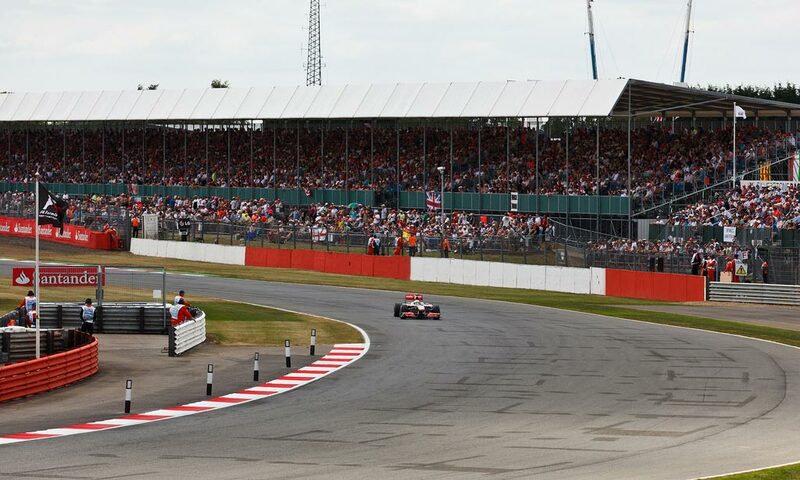 The National Pit Straight is the half way point of a lap of Silvestone, with the start and end being situated over on the International Pit Straight. 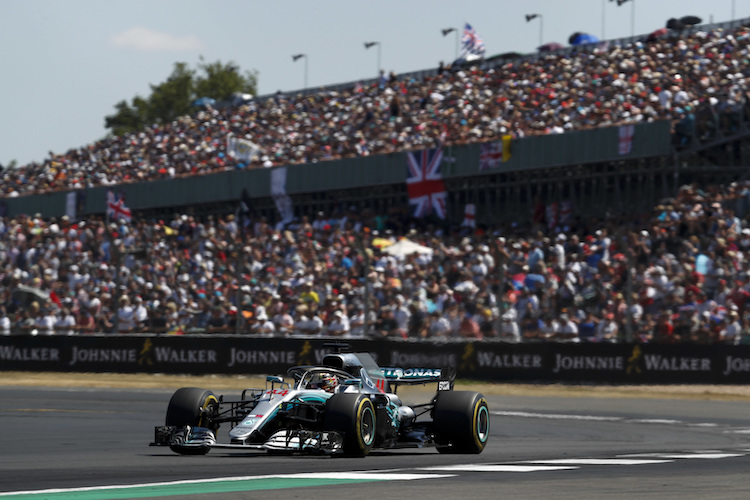 Although the atmosphere is still fantastic in the numerous grandstands that line the circuit in this area, the buzz of looking over into an active pit lane has been lost with the circuit modifications made over the last few years. 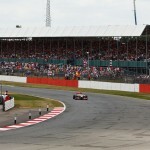 During the race you will see the cars screaming past you at incredible speeds before they sweep into Copse corner. This means that sitting on the pit straight is very loud as the cars are always at full throttle. Don’t expect to be able to chat to your friends without shouting if sitting here! 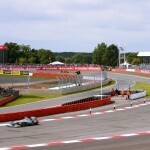 The cars sweep through Woodcote corner. They carry tremendous speed towards Copse. Lots of grandtands make for a good atmosphere. 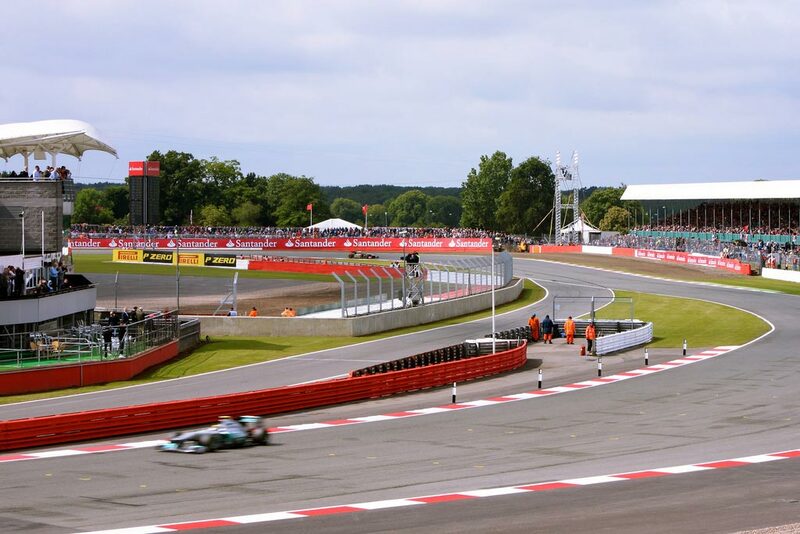 Overtaking along the pit straight or into Copse corner isn’t as common as it use to be so don’t expect side by side action on this part of the track. 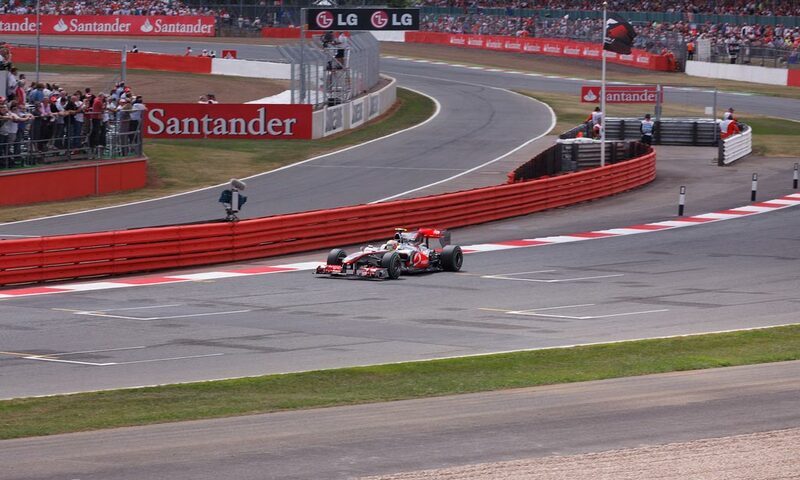 However, if one driver gets a poor exit out of the last corner Luffield, you may see some action. Giant TV screens are still above the old pits meaning you get to see the action from the rest of the circuit if you haven’t already got a personal FanVision TV unit.